We hope everyone enjoyed the Thanksgiving holiday. Some of us have more to be thankful about than others. 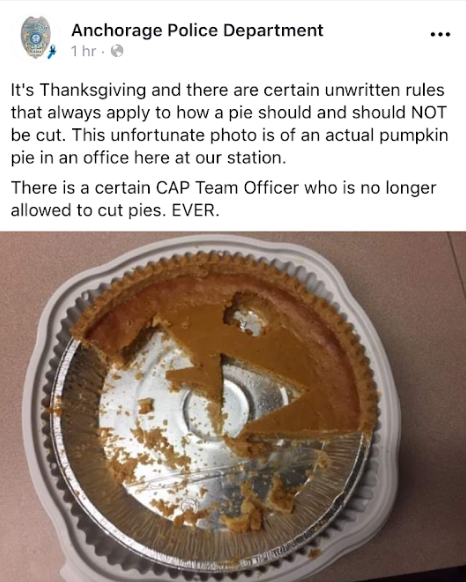 This is criminal. Lock them up! 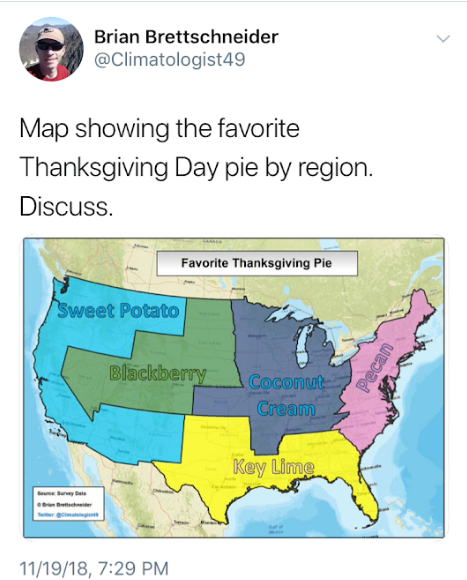 Alaska based Climatologist Brian Brettschneider made some waves with this Thanksgiving pie inspired Tweet that went viral. 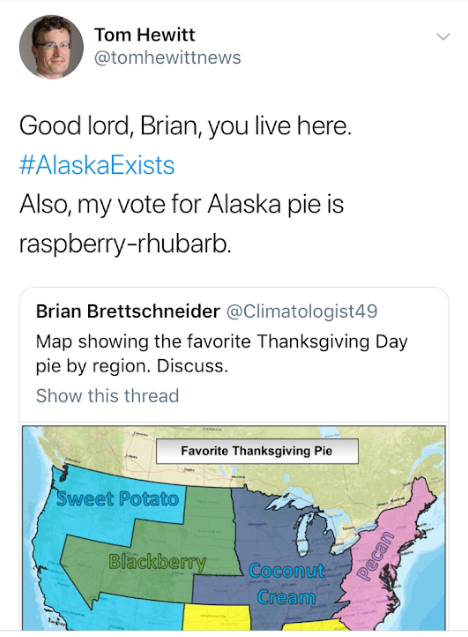 If you’ve followed Brian for even a minute, you would have known this was a fun joke. 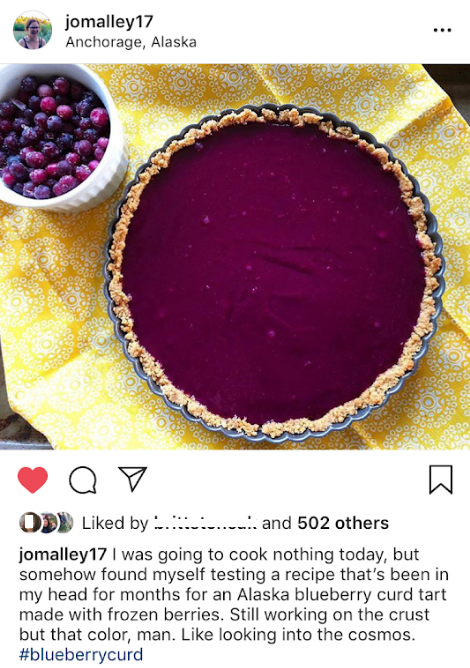 Leave it to Julia O’Malley to redeem Alaska’s pastry standing. 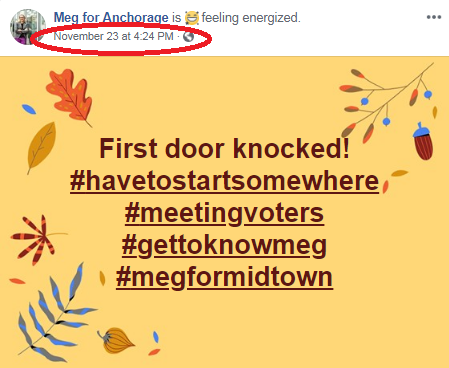 With an Anchorage Municipal election slated for April, 2019, some Assembly candidates are getting an early start on campaigning. Still, the day after Thanksgiving, Meg? That’s supposed to be a day set aside for brawling with strangers at Walmart at 5am over electronics, not politics. Wait until at least Saturday next year. 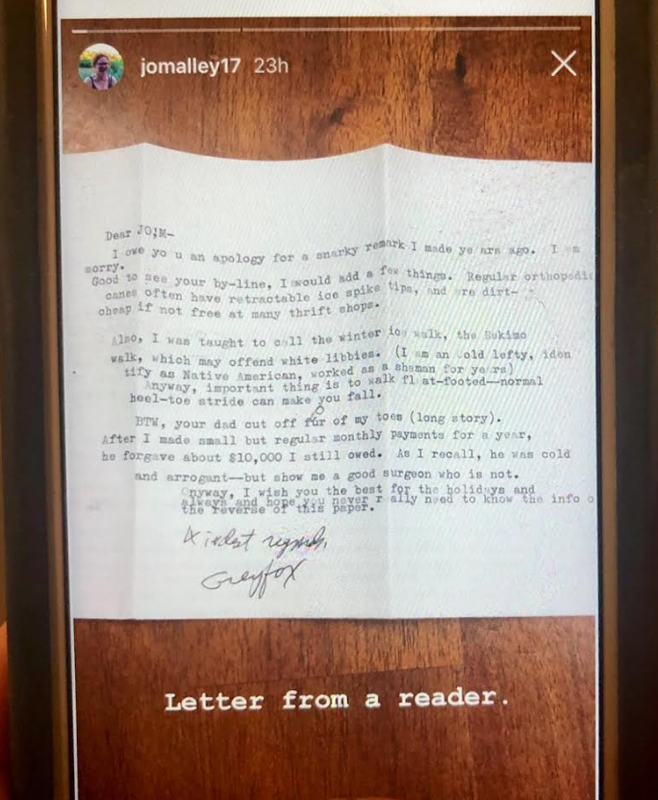 Or maybe giving Tuesday? 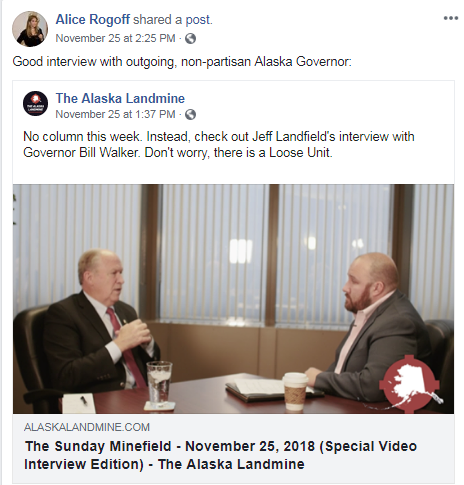 We would also like to remind municipal candidates it’s never too early to purchase an ad at Alaskalandmine.com. 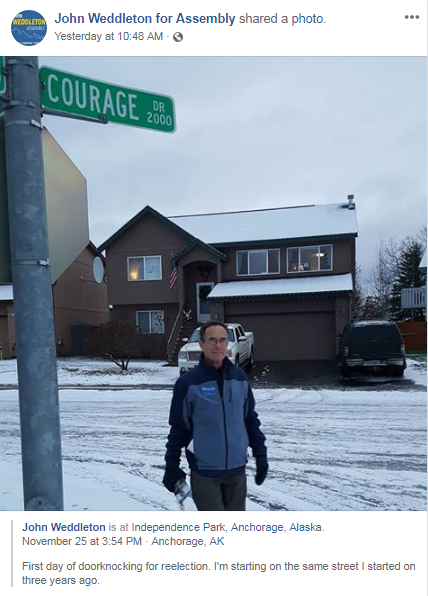 As someone who generally votes as part of a 9-2 progressive block while representing the good folks of conservative South Anchorage, Courage is a fitting street for Assemblymember Weddleton to begin his campaign for re-election. 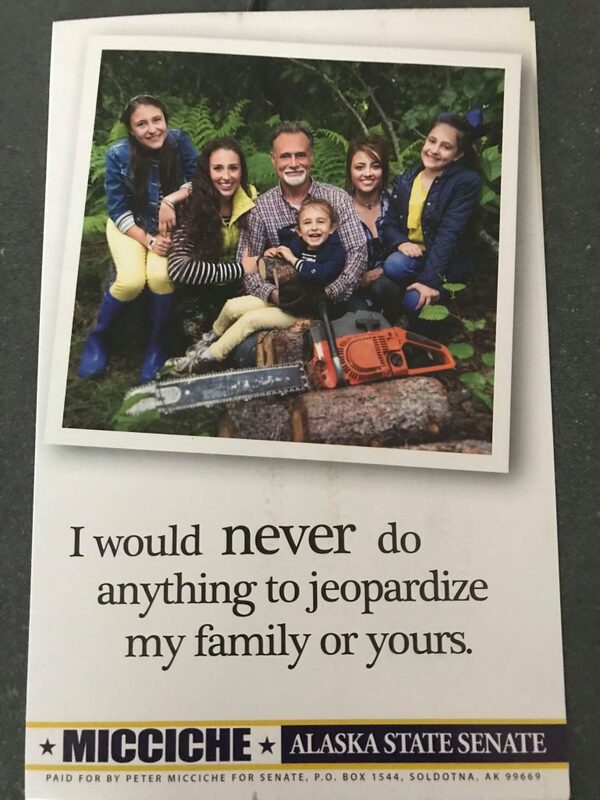 Down on the Kenai, Senator Peter Micciche busted out his infamous family chainsaw and cut up a 110+ foot spruce tree. Don’t worry, folks! It fell during a recent wind storm. 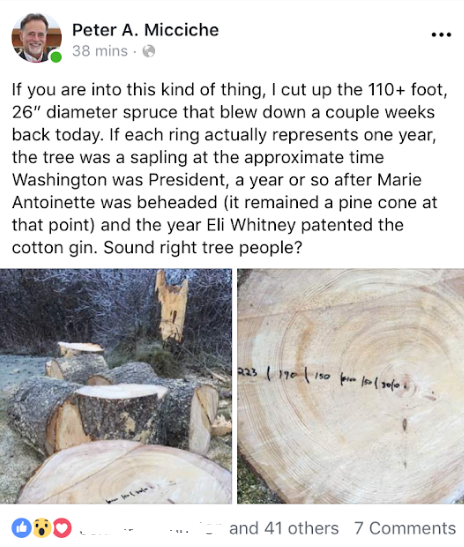 Senator Micciche did the math on the rings and the tree dates back around 225 years, or right around Congressman Young’s first term in office! The next Super Smash that budget Brothers gonna be lit! 🔥 Also, #wheresKevin? 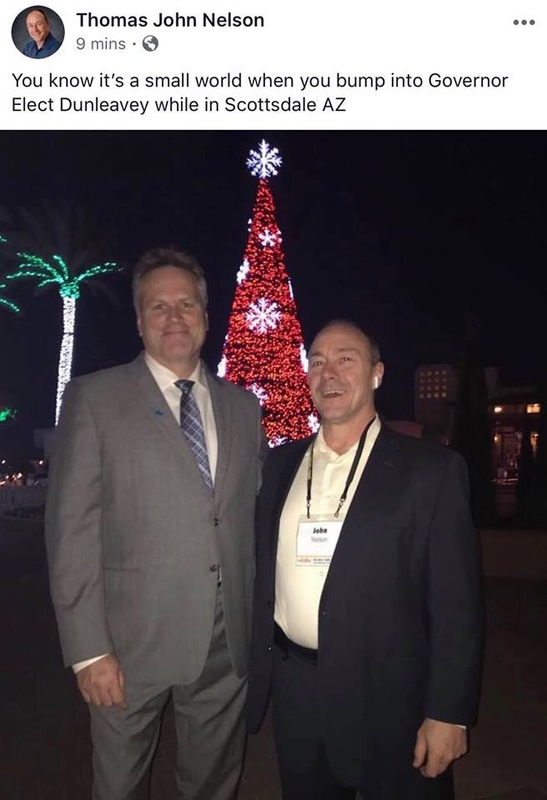 Governor-elect Mike Dunleavy was spotted standing tall in Arizona this week. Arizona? 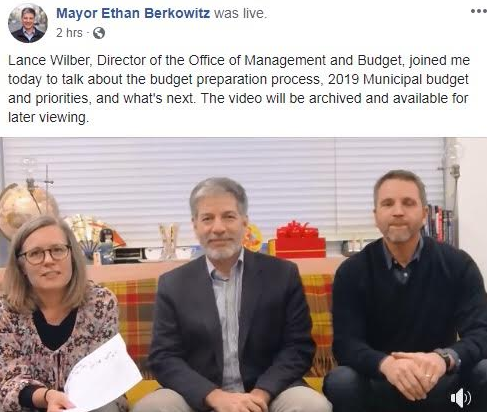 Is Mike looking for more out of state “mavericks” to serve as commissioners? Wait a minute, isn’t the commissioner of corrections still unfilled? 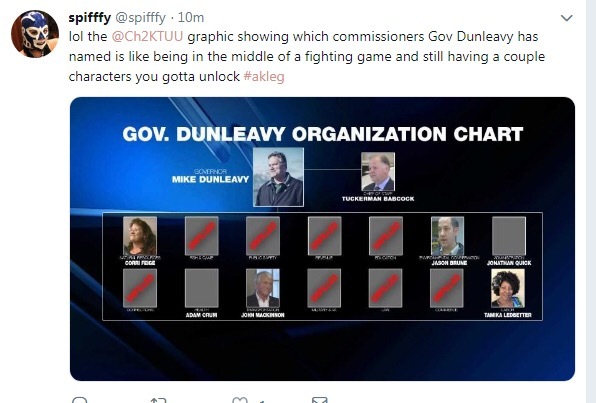 (refers to handy KTUU graphic) Oh no! Someone please tell me Sheriff Joe Arpaio doesn’t live in Scottsdale. Alright, who gave Kevin the Facebook log-in credentials. 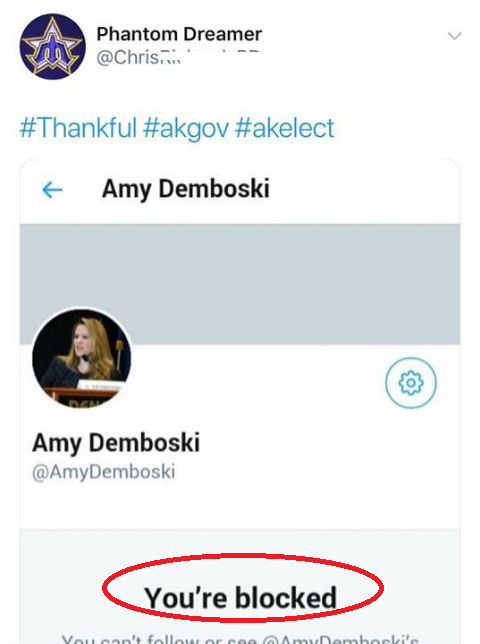 Congratulations to Anchorage Assemblymember Amy Demboski for her new gig as deputy chief of staff for Governor-elect Mike Dunleavy. 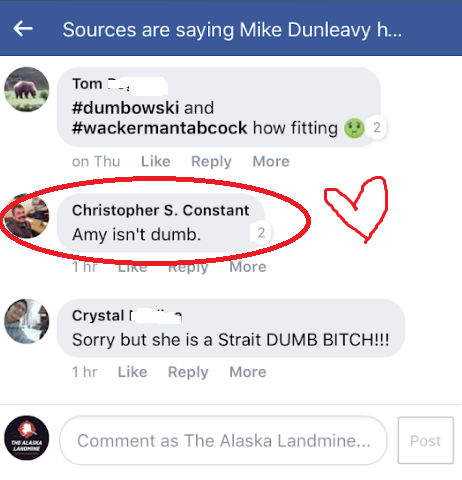 Of course, if you follow The Alaska Landmine on social media, this is “old news.” We broke the news about a week before Amy made her formal announcement. And, because her last name starts with a “D,” queue the “dumb” jokes. 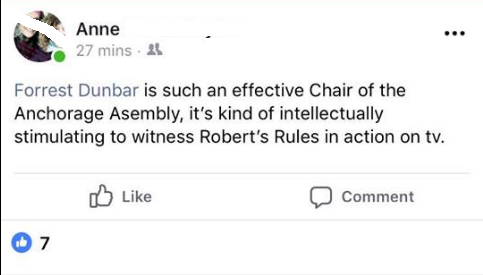 Thank you Assemblymember Constant for speaking up. Apparently it’s an epidumbic. 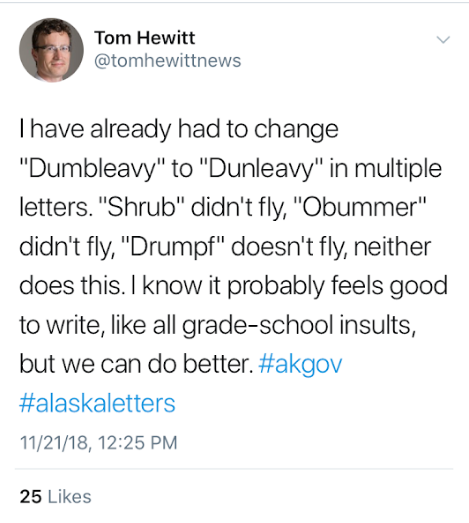 Thanks to ADN’s Tom Hewitt for not letting this stuff fly in our #alaskaletters to the editor. 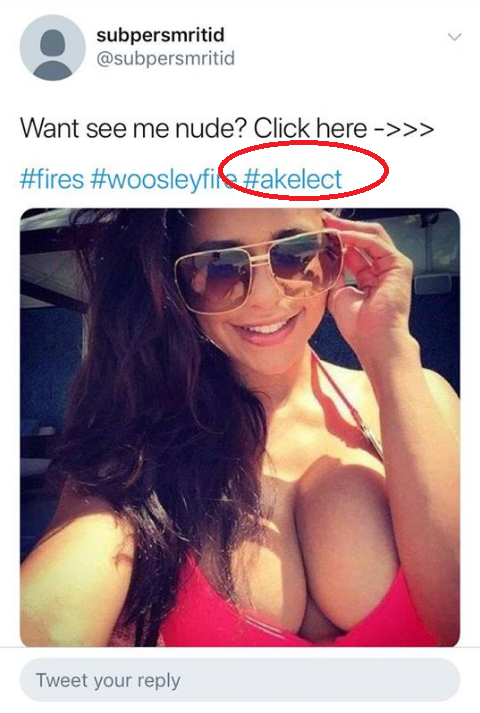 Who thinks she meant #akerect? Idle hands and no shame could spell trouble for Assemblymember Constant’s beloved plastic bag ban. I mean, only if Mr. Nees is able to get the required number of signatures and actually turn in the paperwork to the correct government entity. A high bar for him. 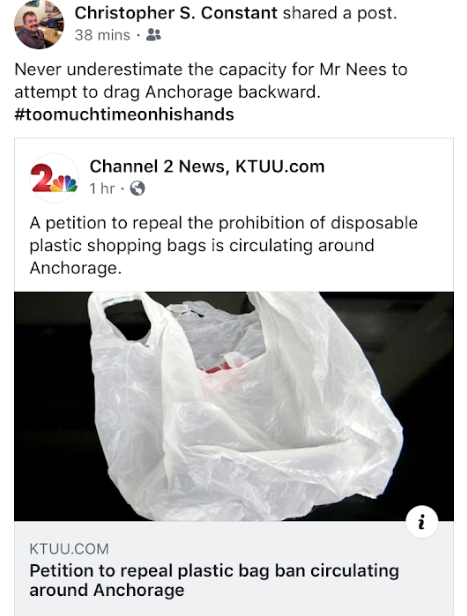 That being said, if anyone wants to sign Mr. Nees’ petition to repeal Anchorage’s plastic bag ban, email iwantabagbanvote@gmail.com for more information. UPDATE: Attention Mr. Nees! You might want to think about getting that unblock button out. ‘Tis the season, and you could get some extra signatures out of it. 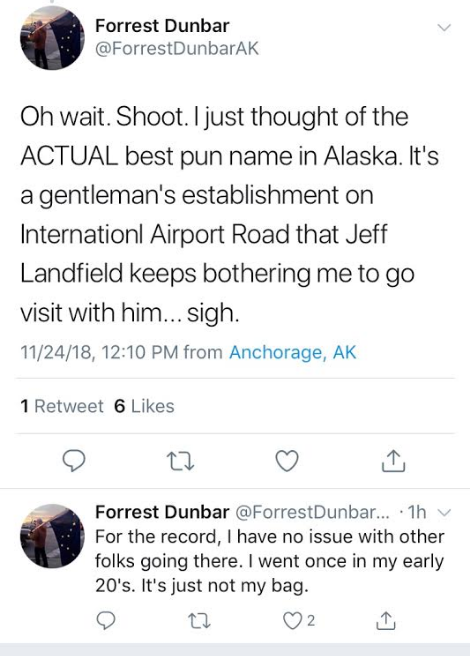 Forrest got controversial this week when he incorrectly identified Title Wave as the best pun name for a store in Alaska. The only reason Forrest thinks Title Wave is the best Alaska business name pun is because he screwed up and wrote “Once Upon a Blue Moose” which is significantly less clever than “Once in a Blue Moose.” While there are many “Title Waves” there is only one “Once in a Blue Moose.” In fact, this iconic Alaska family business is celebrating 49 years in the 49th state this year! Get 20% off your purchase of $49 or more in stores now – just tell them Forrest sent you! Can someone please explain to Forrest the different between puns and double entendres. Maybe Cherokee Savage is available? 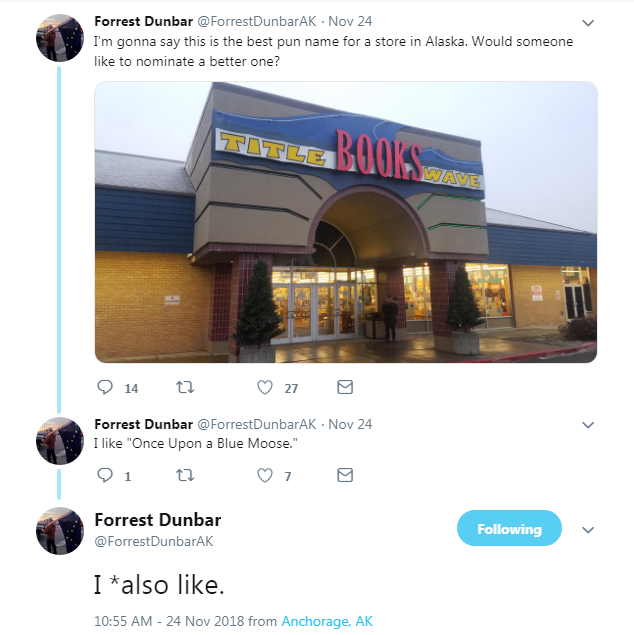 Either way, we are glad Forrest finally got the opportunity to “set the record straight” regarding his feelings toward the legendary The Great Alaskan Bush Company, which he still couldn’t bear to refer to by name. 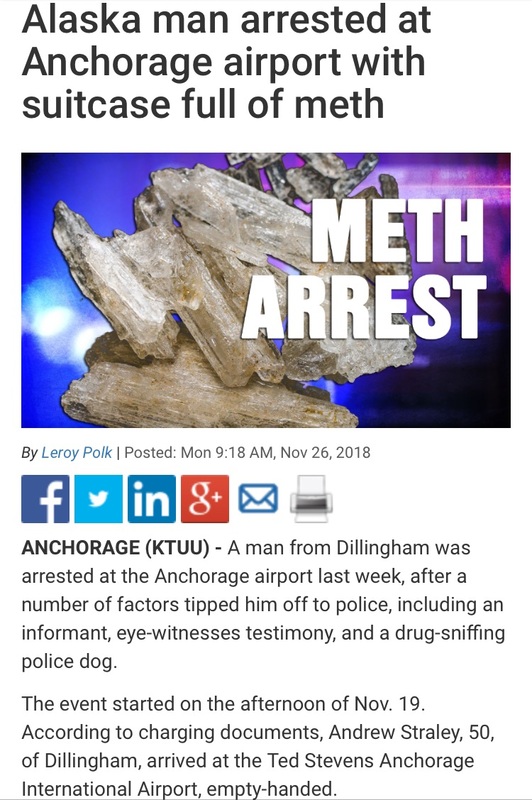 Andrew Straley, a top supporter and donor to former state house candidate William “Weatherby” was arrested at the Anchorage airport with a suitcase full of meth. Sounds about right. Love for the Landmine abounds this week. Thanks Alice! 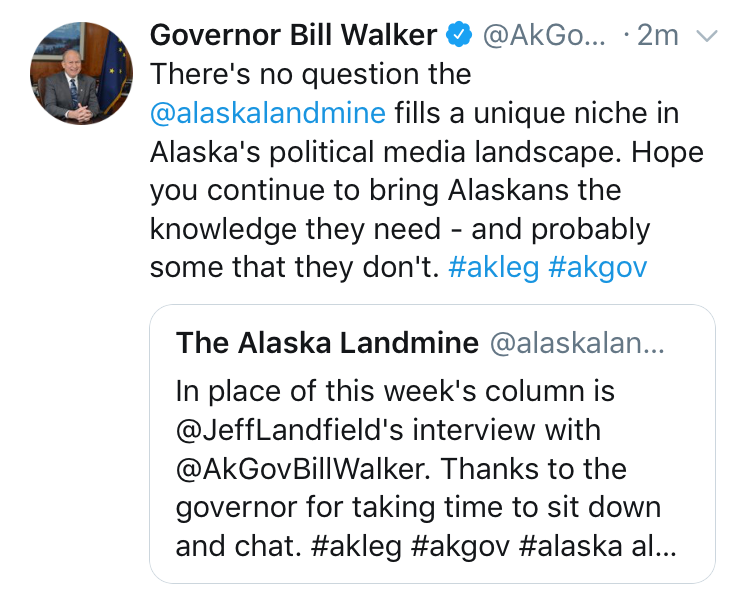 But nothing could top this: Governor Walker really got down into the nitty-gritty of our mission here at the Alaska Landmine: to bring Alaskans the news they need, and some they don’t! Thank you Governor. Check out Jeff’s most recent interview with Bill here. Apparently Nat doesn’t know Jeff as well as I do. 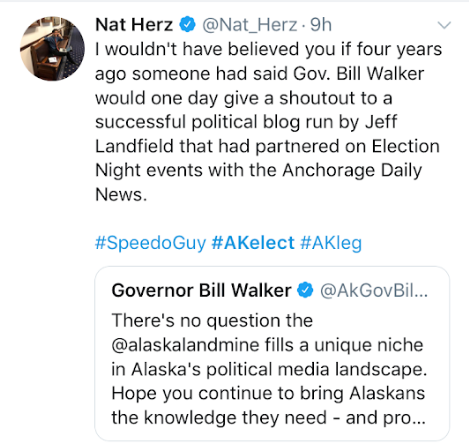 If Jeff Landfield says he’s going to build a media empire that strikes fear into the hearts of Alaska’s legislators from the ground up, he’s going to do it. Governor Walker opened his budget presentation at the Anchorage Chamber’s Make it Monday by talking about the upcoming transition and cracking some jokes. This past weekend the Governor spent time with family, watched football, and did some projects at his cabin. And, as he put it, “none of that required 11 votes in the Senate and 21 votes in the House!” Ba dum ching! Unfortunately that sentiment apparently isn’t shared by some of Walker’s top officials. 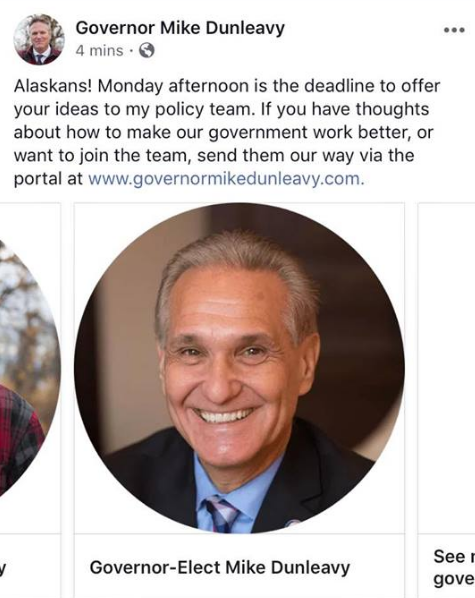 While dishing up some of that famous Dena’ina chicken, the Stalker personally overheard a certain OMB official say, “I used to get so discouraged that nothing could get through the legislature. Now I’m doing a happy dance that nothing can get through the legislature.” Yikes. 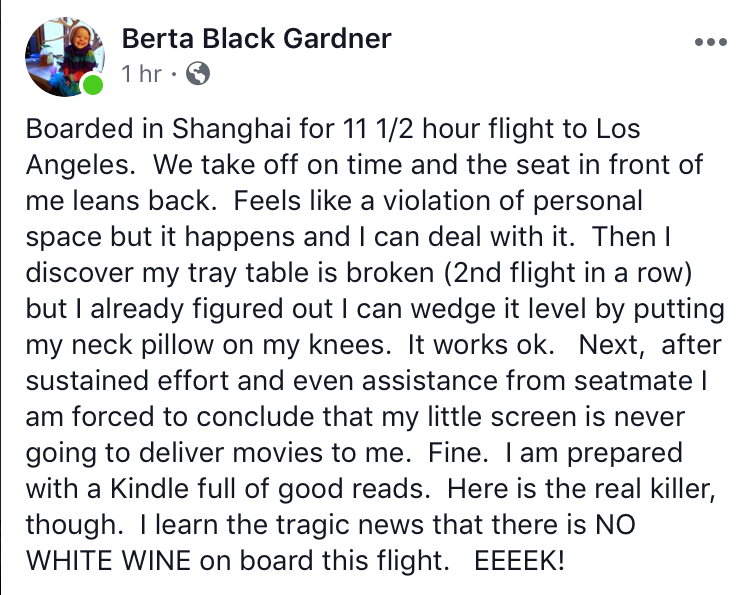 We didn’t see sour grapes on the menu. Overheard on KENI “…and Jason “Brooohn” was named Commissioner of Environmental Conservation. They’ll get it right next time, Jason. Senator Anna MacKinnon and GCI’s Tina Pidgeon at Steam Dot. Spotted at Costco on the same day, within the same hour: Stalker fav Representative-elect Laddie Shaw and his wife, Mayor of Spenard Tom McGrath and his wife, and former Anchorage School Board Member Pat Higgins. 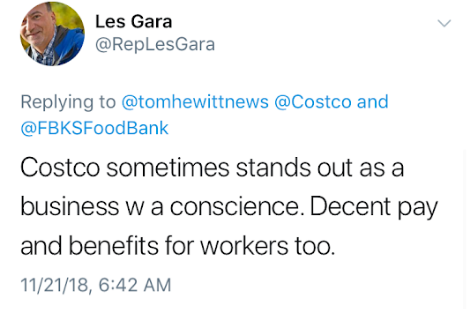 Honestly, we could just sit at Costco all day on a Saturday and have an entire column.